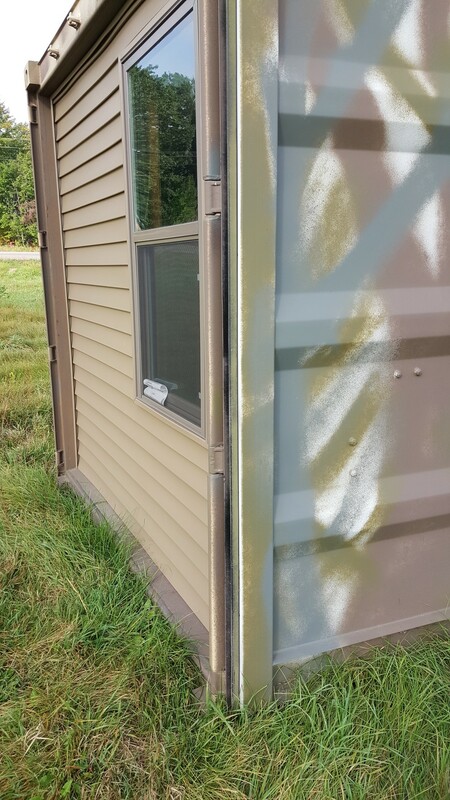 We often talk about how great containers are for hunting cabins. They are portable, secure, easy to modify, pretty much everything you could hope for when making your own hunting cabin. The head of our shop in Minneapolis passes this hunting cabin that is for sale in northern Minnesota whenever going up north. It's such a great example of what's possible for a nice, safe, easy hunting cabin, we just had to share. From what we can tell, they started with a one-trip double-door 40' high cube containers. 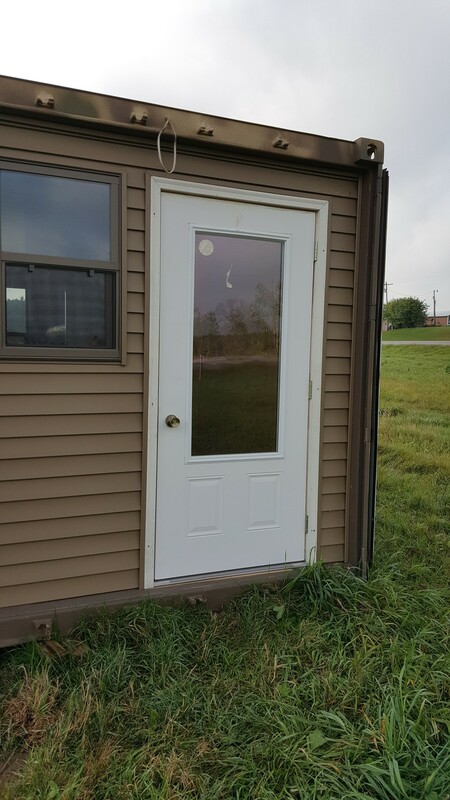 That is one that has doors on both ends. The beauty of using a container like this is that they could build walls just inside the doorways on both ends. On those walls, they added windows and a door on one of them. When the cabin is in use, you simply keep the container doors open. When it is time to leave, you lock up the doors and the cabin looks like any other container, nothing unusual or inviting for trouble. They insulated the inside, laid down a nice floor and then created a built-in bunk bed in one end with a dividing wall to section off the bedroom from the rest of the cabin. In the other half, there is a small kitchenette and living space. Depending on your land and access to bringing in water and electricity, it would be easy to add in more amenities. But if not, it can be an easy off the grid cabin as well. As a final touch, they camouflaged the container to it is ready blend into the woods. Check out the pictures below. 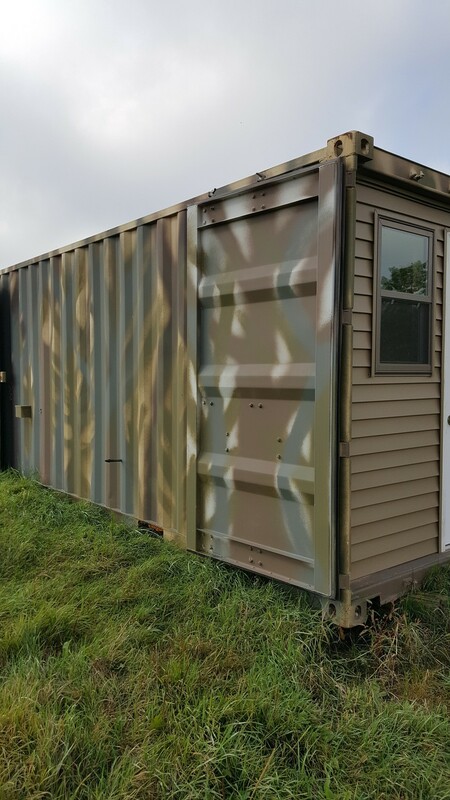 Whether you're looking to make your own hunting cabin, want us to modify it for you, or some mix in between, containers make a great option for a secure cabin.